In our demanding schedules, we try to find a reason to laugh. Sometimes little things in life make us happy. Many of us think that it’s the big things that can make our every moment cherish as people usually have enough time to appreciate little things. In this fast world, everyone is busy with their busy routines; it’s hard to take out some time for oneself especially for the woman. 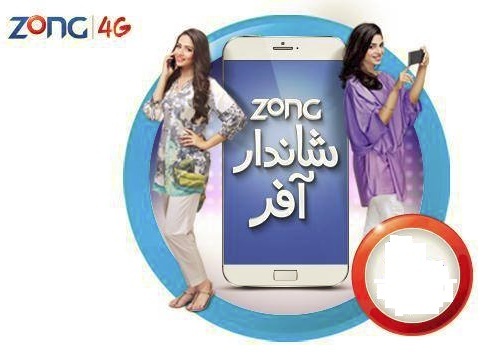 So Zong is introducing a special offer for women, i.e., Zong flutter offer. Rs 1.80 per minutes for both on-net and off-net calls will be charged. Per SMS charges of Rs 0.8 + tax will apply. If you activate the happy hour, Rs 5 + tax per hour charges will apply. For friends and family numbers Rs 0.35 + tax per minute will be charged. Rs 4 per Mb will apply on mobile data. The daily promotion will cost you Rs 4 per day. You can easily subscribe to this offer by dialing *369# and then choose 1 from the submenu. This offer can also be activated by sending “Y” or “Sub” to 369. You will receive a confirmation message from the company. If you are a new user of Zong, then flutter package is your default package. 90 free calling minutes from Zong to Zong. 100 free SMS for all local networks. Surf the web with 1 Mb of mobile data. Users can also avail free call block service by subscribing to this package. You can also enjoy cheap call rates on all friends and family numbers. Happy hour is also allowed in this offer, you can call at just Rs 5+ tax per hour by selecting your favorite hour. If you are out of balance at any moment, then Zong flutter call service will help you. SMS “Rescue” to 369 for activation. Enjoy flutter lounge on a daily basis with this offer. You can also win Rs 500,000 through luck draw every month. The offer will expire at midnight in case of insufficient balance. You can also unsubscribe it by sending “Unsub” to 369. Offer is only valid for all existing and new prepaid customers. On package conversion charges of Rs 15 + tax will apply. The offer will automatically renew at midnight. FED tax will apply according to your city. On offer expiration, default rates will apply. Per call setup charges of Rs 0.15 + tax will apply. 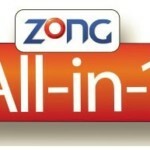 Zong is offering all the services in one package at lowest rates. This offer will make your heart flutter. Enjoy unlimited calls, messages and Free Mbs with many other benefits by subscribing to Zong Flutter offer. Don’t wait and activate this offer now!